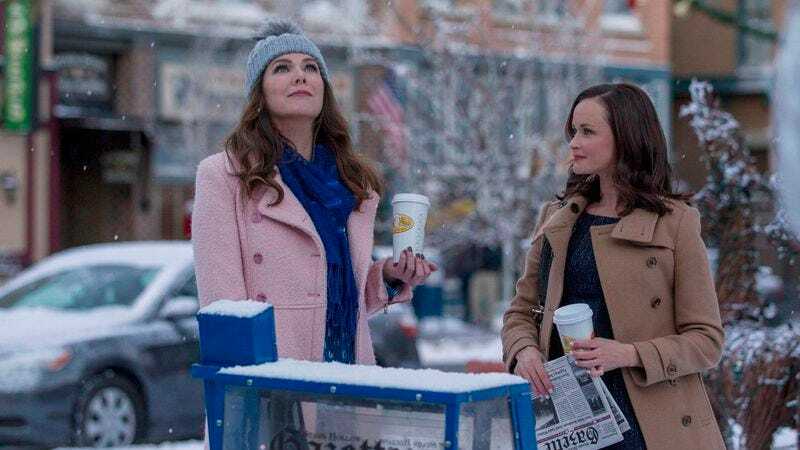 Last year’s Gilmore Girls: A Year In The Life on Netflix was a largely touching and appropriate send-off for the beloved series, finally giving fans a chance to hear the famous “four words” that series creator Amy Sherman-Palladino always wanted to end the show with, but—without going into spoilers—people are already excited to see what life in Stars Hollow is like after those four words have been uttered. According to Deadline, one of those people happens to be Netflix’s Ted Sarandos, who told the UK Press Association that there have been “preliminary” talks about bringing Gilmore Girls back for a sequel to the A Year In The Life miniseries. Sarandos says Netflix “loved the success of the show” and “fans loved how well it was done,” so the streaming service has been discussing “the possibility” of bringing it back again. Deadline adds that Sherman-Palladino has noted that she wouldn’t immediately say no to continuing Gilmore Girls in some way, but she doesn’t have any specific plans to do that just yet. Who knows, maybe they’ll just wait another nine years and stream the show on some kind of future Netflix.